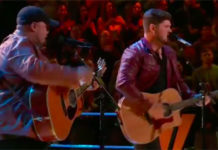 Who won The Voice 2015 Season 8? The votes are in and grand winner will be revealed at the end of the Grand Finale Results show tonight, Tuesday, May 19, 2015. Tonight is the night! The Voice 2015 Winner will be revealed at the end of the Grand Finals tonight. 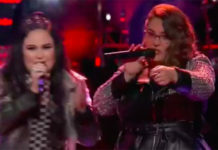 Last night, the Top 4 finalists including Sawyer Fredericks, Koryn Hawthorne, Meghan Linsey and Joshua Davis performed three songs each to earn votes from the public — a fan’s choice, an original song, and a duet with their respective coach. Tonight, the show will feature performances from Maroon 5, Ed Sheeran, Kelly Clarkson, Meghan Trainor, Luke Bryan, John Fogerty, and Sheryl Crow. Then, The Voice Season 8 Grand Winner will be announced! Only one will take the crown! Who do you think will win The Voice Season 8? 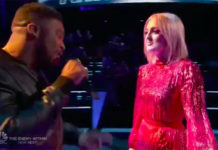 Sawyer Fredericks, Koryn Hawthorne, Meghan Linsey or Joshua Davis? Write your prediction on the comment section below. Don’t miss the Grand Final episode of The The Voice 2015 on NBC at 8/7c, Tuesday, May 19, 2015.